Cuartero, a young producer from Spain is starting to make a name for himself through his tech house productions. He can be found slotted next to tech house acts like Patrick Topping, Latmun and Detlef, and has released his work on a number of record labels including his most recent EP ‘Moon Crash’ on Hot Creations, ‘Newo EP’ on Saved Records, ‘Shadow EP’ on Moon Harbour, and more. With a following of 180k Facebook fans and a further 50k Soundcloud followers, Cuartero’s recently released the dates for his first Australian tour. Cuartero was born just over two decades ago in Malaga, and although he missed the pure analog era, he felt the old-school essence which later would influence him to define his own style. His concern about researching new sounds, textures and structures has possibly made his productions recognisable from the very first beats. In 2011 he founded his own label, Sanity, with the clear idea of prioritising the essence of good music over just signing popular scene names. Combining his activities as label owner and promoter, he has published around one hundred tracks and organised showcases worldwide. 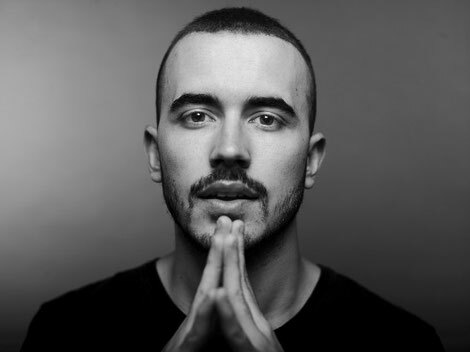 He started to produce at the age of 15, and it was from 2012 onwards when all his work began to bear fruit: performances across five continents; numerous chart-toppers on Beatport; closing out the main floor at Amnesia Ibiza for his residency in Hyte; his appearance in the documentary ‘Monday’, and the recipient of an award at the 2015 DJ Awards in 2015. His latest tour dates are below.